Researchers from the Nanjing Agricultural University have developed a recipe that improves the nutrient profile of wheat bread. The method, published in CyTA – Journal of Food, adds chickpea flour fermented with Cordyceps militaris to create a nutritionally dense bread that is still appealing to consumers. In the study, the team looked at how the inclusion of C. militaris-fermented chickpea flour can affect the quality and antioxidant properties of wheat bread. To better define “quality,” researchers benchmarked the final product against non-fermented chickpea flour and compared both with wheat-only bread in terms of specific volume, proximate composition, crust and crumb color, crumb texture, molecular mobility, and sensory evaluation. The wheat flour was supplanted with either fermented or non-fermented chickpea flour during the bread production process. For the trial, researchers substituted 50 g of flour with chickpea flour for each kilogram of wheat flour used. Researchers found that adding either type of chickpea flour to wheat bread improved its nutritional content. In particular, it yielded higher fat and protein contents, as well as phenolics content and antioxidant activity. However, the number of phenols and antioxidant activity in bread made with fermented chickpea were higher than that of wheat bread made with non-fermented chickpea flour. Based on quality, the wheat bread made with fermented chickpea flour was noted to have a higher specific volume than wheat-only bread. 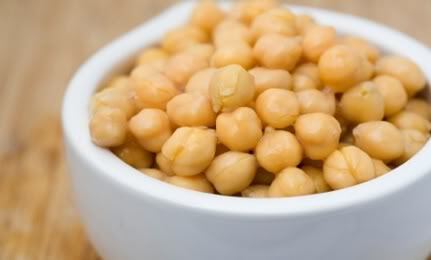 However, comparing it to bread that was produced using non-fermented chickpea flour led to a negative effect. According to sensory evaluation, the wheat bread that was made using fermented chickpea flour received positive scores, including that for texture, appearance, color, and overall acceptance. Based on these findings, researchers deduced that fortifying wheat bread with C. militaris-fermented chickpea flour improved its quality and antioxidant activity.